Congratulations to Alyssa Susanna (@Alyssa_Susanna) and Jackie (@NoBentSpines)! They are the winners of Dot Hutchison’s debut YA novel, A Wounded Name! Please send us a DM on Twitter or an email to publicityinfo@lernerbooks.com with the subject line “Free Book Friday” and tell us your mailing addresses so we can get your books in the mail. 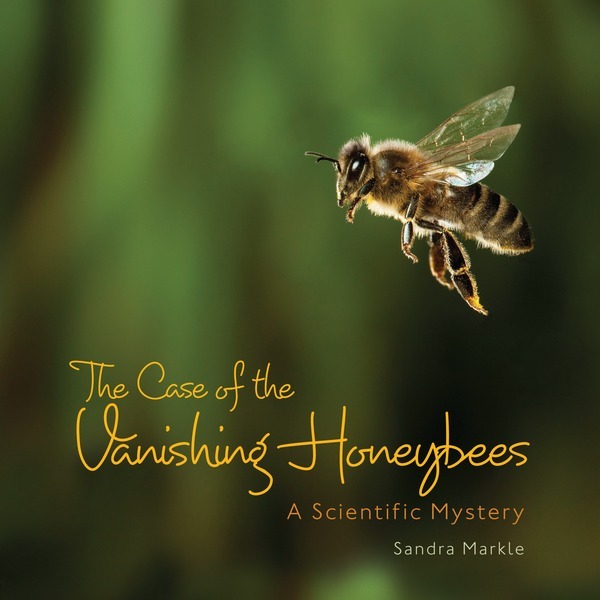 This week we’re buzzing with excitement because we are giving away The Case of the Vanishing Honeybees: A Scientific Mystery by award-winning author Sandra Markle! Honeybees are a crucial part of our food chain. As they gather nectar from flowers to make sweet honey, these bees also play an important role in pollination, helping some plants produce fruit. But large numbers of honeybees are disappearing every year… and no one knows why. Is a fungus killing them? Could a poor diet be the cause? What about changes to bees’ natural habitat? 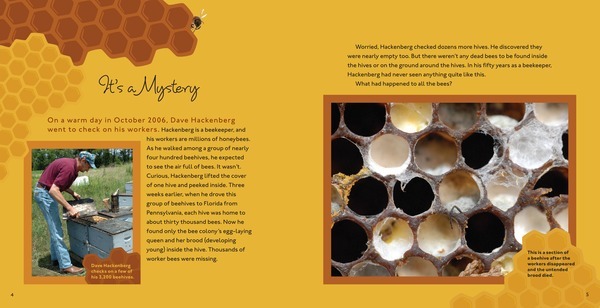 In this real-life science mystery, scientists and beekeepers are working to answer these questions… and save the world’s honeybees before it’s too late. We’ll announce the winner during Free Book Friday on September 20, so be sure to come back to the Lerner blog to see if you’ve won! Mysteries are perfect for reading engagement! My darlings just LOVE science! We collected many types of bugs to study in our class, including bees. This book would be a great resource to use.